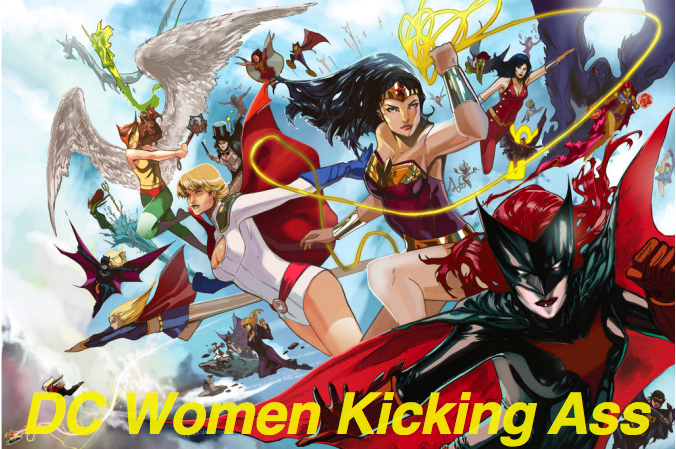 Mariko Tamaki’s been taking Jennifer Walters on a long, singular journey towards recovery ever since taking over Hulk/She-Hulk, and the antagonists Jen has faced along the way have been specifically chosen to reflect different challenges of that journey, often by turning them into mirror images of Jen’s greatest fears. 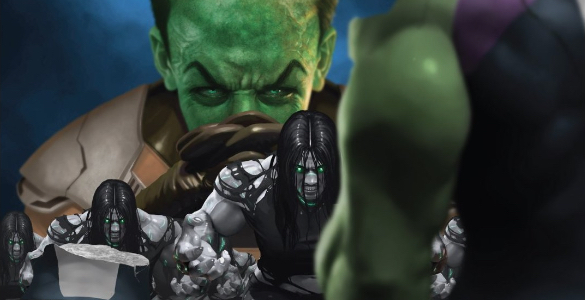 What does it mean, then, that She-Hulk 161 has two villains for Jen to face down? And what do these two foes have to say about where Jen’s head is right now? It all comes down to strength, which Tamaki makes clear though Jen’s internal monologue. Robyn thinks that strength is quite literally power, which is why she’s always thought herself weak, which is why she allows herself to be manipulated by the Leader, which is why she now finds herself Hulked-out, trying to crush Jen with her bare hands. The Leader, meanwhile, defines power as control, which is why he’s now attempting to manipulate Jen and Robyn into killing each other. Interestingly, Jen’s victory incorporates both definitions. She’s able to take control of the Hulk, stopping her from killing Robyn and redirecting her toward the Leader, and the Hulk’s unfathomable strength proves too much for the Leader to ever truly plan for. This doesn’t do much to alleviate Jen’s confusion, though. This arc has two villains because Jen’s confused and uncertain. She’s able to see both their perspectives, but neither clears things up for her. 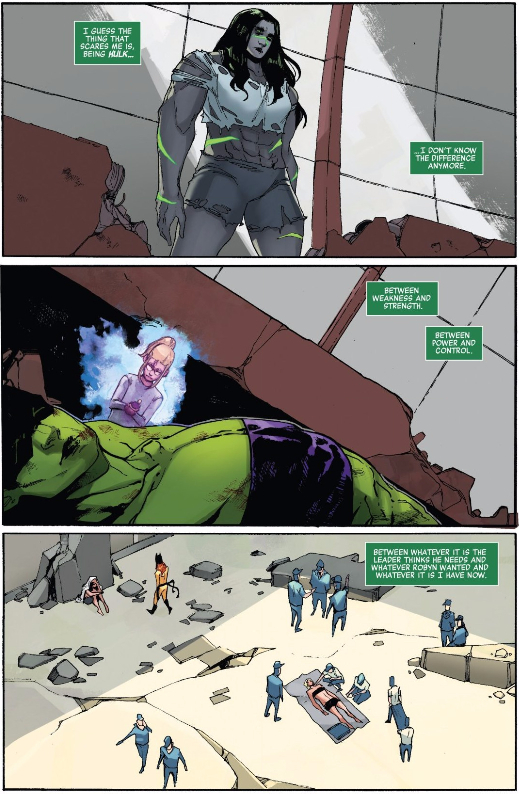 She needs to find a way to define what this new Hulk is and how it fits into her life, and that requires a level of proactiveness from Jen that we haven’t seen in quite a while. When Jen walks up to Flo’s door, it’s a sign that she’s ready to get better, ready to ask for help, ready to truly grapple with her life in a way she hasn’t before. That’s why this storyline is continuing on, even after the bad guys have been defeated: dealing with the Hulk, and with her own life and emotions, is going to be the greatest challenge Jen’s faced yet. The courage she’s showing is certainly a strength in and of itself, even if Jen can’t fully see that yet.